When you’re planning to sell your home, you’ll be happier with the results of your sale if you have a basic understanding of the process. A great place to begin is understanding the difference between Market Value and Appraisal Value. Knowing so, can help you accurately price your home to sell well. Market Value. This figure is an estimated value of a property, based on what it’s likely to sell for within a specific market. As the seller, you decide what price to list your home; the market value provides a starting range to choose from. To determine the market value of a home, key areas are reviewed and compared. The latest assessed tax value is taken into account, alongside a comparable cost review of nearby, similar homes which have recently sold. For example, a home assessed at $200,000 for tax purposes, may still list for a higher price if similar properties in the neighborhood have been selling for $250,000. Other key factors used to determine market value include neighborhood and community features, as well as the state of the residential market. Another valuable aspect needed to establish a good market value price, is the reliable expertise of your Realtor®. From knowing the ideal months to sell, to what buyers are looking for, and how in-demand the market is, your Realtor® will apply their experience to determine the market value of your home. Appraisal Value. As a seller, it’s worth the investment to get your own appraisal done. With a full, independent appraisal by a certified appraiser, you’ll get a more detailed look into how much your home is worth as an individual property. An appraiser will take both the tax assessed value and market value of a home into consideration, but then also look closely at the structure of a property, noting improvements, or needed repairs, including cosmetic ones which could hinder the market value if not addressed. Curb appeal and market trends are also taken into consideration with an appraisal. Older homes with outdated floor- plans can still have a solid appraisal value when well-kept and updated with energy saving appliances or smart technology for example. Ideally, the market value and appraisal value will be close to one another. If there’s a wide gap between the two, your Realtor® can help you determine which aspects are most important to review further so you can determine a good listing price. When you have both a Market Value and Appraisal Value for your home, you have key information to help price your home right. 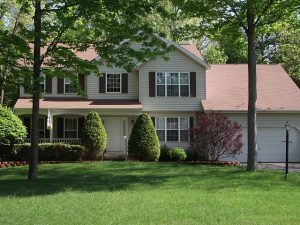 When you’re ready to sell or buy property in York County, you want a team you can rely on. The Jim Powers Team of local, experienced Realtors® is here to help you through the entire process. Our goal is to help you from start to finish, with complete satisfaction. Visit our website to learn more, then contact us or give us a call at 717-417-4111, to get the conversation started.